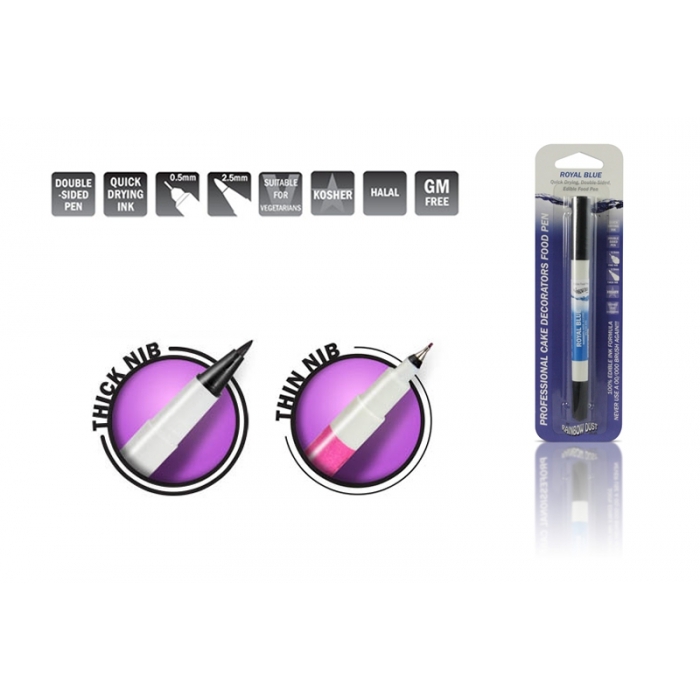 With the development of a specially formulated "Food Ink" this pen allows the ink to flow through a standard chunky nib, right down to a 0.2mm nib. This nib is so fine that you can even use it for facial features on your sugar models. Much easier than using a brush for fine detail work! You could even sketch your own drawing onto our blank icing sheets and really create an edible work of art.